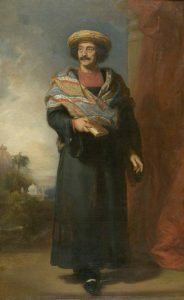 Raja Rammohan Roy was the pioneer of modern India. He was born on 22nd May in 1772 at Radhanagar in Hooghly, West Bengal. His father’s name was Ramkanta and Tarini Devi was his mother. He knew many languages like Persian, Arabic, Latin, Greek, English, Tibetan, Sanskrit, etc. He translated the Vedanta into Bengali. He was a social reformer. He fought against polygamy and child marriage. He abolished the practice of ‘Saltee’ with the help of William Bentick. He established many schools and colleges. He wrote many books on History, Geography and Science in Bengali. He established Hindu College. He is called the father of Bengali Prose. The emperor of Delhi gave him the title of Raja. The great man passed away (died) on 27th September in 1833 at Bristol, a city of England.